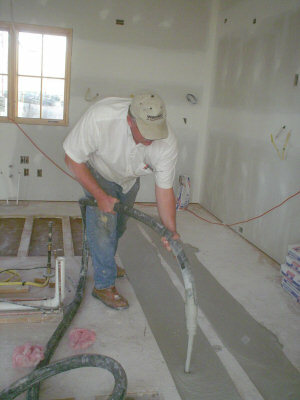 Barnhart Specialty Contracting proudly serves the state of Kansas, Kansas City, NW Missouri and SE Nebraska with floor levelers, underlayments and concrete toppings. As a second generation team with decades of experience and skills, we are ready to go to work for you. Fire-resistance - Over 86 UL Underwriter Laboratory listings of assemblies using Hacker FIRM-FILL® products. Typically used in hotels/motels and multi-family units. 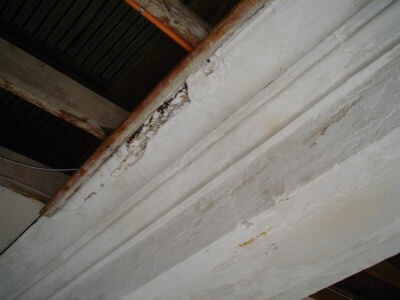 Most often seen specified by Architects in Division 3 (CSI - 03540) noted as gypsum concrete, gypcrete (generic), cementitious toppings, cast underlayment or sometimes light-weight concrete. 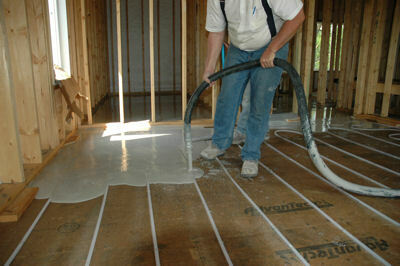 Radiant Heat Fill - Hacker GYP-SPAN® Radiant gypsum concrete is the high mass gypsum concrete over pour preferred by many in their hydronic and electric radiant heated floor jobs. 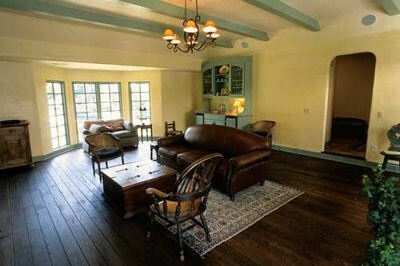 Recent jobs include small remodel retrofits to large custom multi-million dollar homes of thousands of feet of GYP-SPAN® Radiant gypsum concrete. 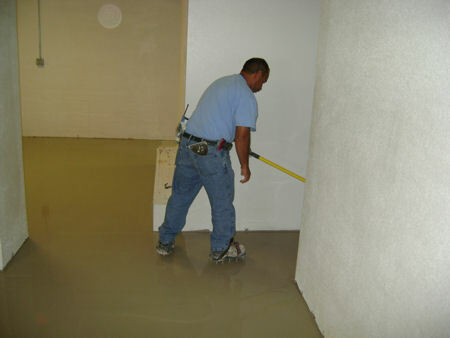 Floor Leveling - Provide a firm flat surface over which to lay finished floor goods such as tile, vinyl or carpet. 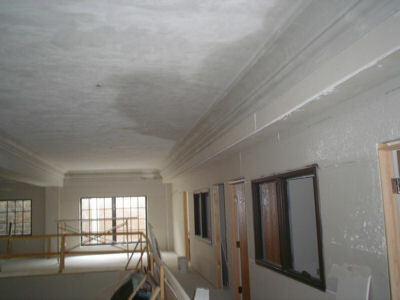 Recent projects include retrofitted condominiums and resurfacing of concrete slabs and cracked concrete in offices and retail spaces. 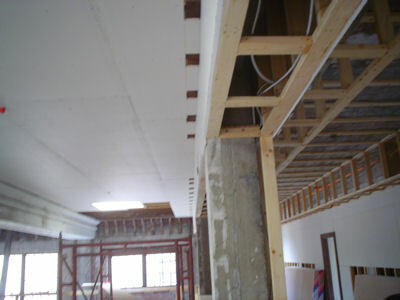 Sound Insulating - Used in conjunction with sound attentuation mats, such as Hacker Sound Mat II, Hacker FIRM-FILL® gypsum concrete makes for one of the most cost effective means of meeting STC (sound transmission classification) and IIC (impact isolation classification). Note: STC 50 and IIC 50 are now code requirements in many areas. 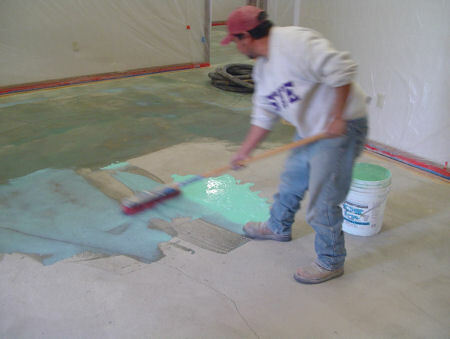 High Strength Overlays - Hacker TRUE-SCREED CLU - a 4600+ cementitious product specified for the recapping of rough concrete surfaces to a new flat surface. 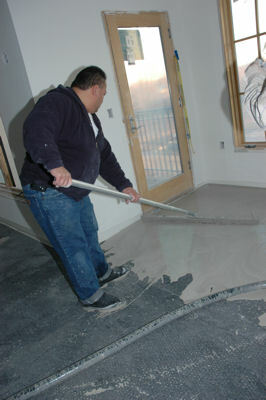 Other products are available for decorative concrete finished floors.